Turbo vs Supercharger. Both are methods of forced induction which compress air above atmospheric pressure (which is about 14.7 psi at sea level and reduces the higher you climb) and forces this compressed air into the engine. 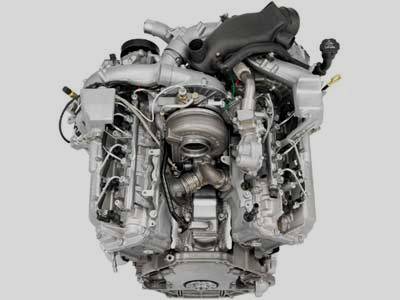 This allows the engine to produce more power as the air that flows into the engine for the four stroke cycle is measured and the system injects an adequate ratio of fuel for the incoming air. Forced induction is one of the easiest and effective ways to gain more torque and horsepower from an engine. The main difference between these two compressors is their source of power. The turbocharger also called turbo uses the pressure from the exhaust gases to spine the turbine which is connected to the compressor to compress the air. The supercharger uses a belt that is connected to the crankshaft of the engine and this is the power source of the compressor as it compresses the air. There are several types of superchargers with their own pros and cons but general facts about superchargers will be explained. Pros and Cons of the Turbocharger. Turbos use the exhaust gasses that are leaving the engine and would otherwise be wasted so turbos generally achieve better fuel economy. Total boost from a turbo is higher than that of a comparable size supercharger as a turbo does not have a direct connection to the engine so the turbine can spin much faster than the engine can rev. Turbos generally have little or no effect on the engine when they are not needed such as in low revs or when idling. This also helps with fuel economy. Exhaust gasses can take some time (ranging from around a quarter second to three seconds) to have enough pressure to spin the turbine, this is called turbo lag. The lag becomes more noticeable on larger turbos. Because they are directly connected to the exhaust they can produce alot of heat in the incoming air so an intercooler is generally required. The large amounts of boost a turbocharger can produce can sometimes be too much for the engine and damage it but waste gates and blow off valves are used to release excess boost. Turbos usually require oil via a line from the engine to lubricate them as spin. Pros and Cons of the Supercharger. Being connected directly to the crankshaft the supercharger supply an immediate increase in boost to the engine with no delay or lag. They also build more boost at a lower RPM. Superchargers generally do not heat the incoming air as much and would not require an intercooler in most cases. Most types generally do not require lubrication from the engine oil. Superchargers are generally much simplier to install and service as parts of the engine does not have to be altered to install one. Being connected to the engine superchargers have a parasitic effect on the engine which means it takes some horsepower to add more horsepower. Superchargers are limited by the speed of the crankshaft or some proportionate speed to it and cannot spin as fast or generate as much total boost as a comparable turbo. The turbo or supercharger continues to be an easy solution for more power. 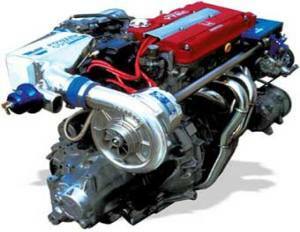 Both methods of forced induction are used on various types of vehicles, from supercars and luxury vehicles to hybrids.